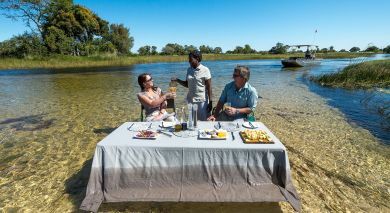 Little Kwara Camp is located in the heart of the Okavango Delta and borders the Moremi game reserve. 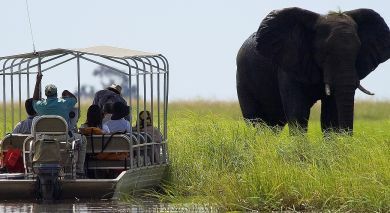 Both land and water activities can be enjoyed year-round and as Kwara lies within a private concession game drives are available day and night. 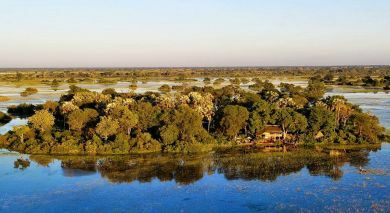 Most tents are built on a wooden platform to maximize views of surrounding plains and a lagoon where hippos can be spotted frequently. Rooms are furnished with elegant teak wood pieces that were specifically commissioned and produced in Zimbabwe. 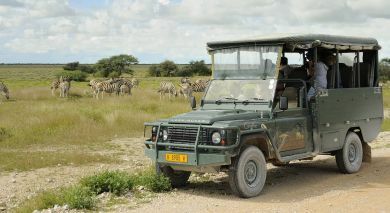 A small pool and gift shop round up the offer of this luxury camp, accommodating up to eight guests in its four tents.